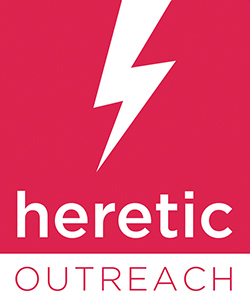 Heretic Outreach is a boutique world sales agency that supports and encourages outstanding films and filmmakers to reach out to the world, by becoming a key partner for solid strategies in festivals, sales and alternative distribution models. Initially focusing on films that have been produced or co-produced by South Eastern European countries, Heretic Outreach has since expanded its territory to the rest of Europe and the world. Its slate includes the Golden Leopard-winning “Godless” by Ralitza Petrova, the Danish title “Holiday” by Isabella Eklöf, which world premiered in competition at the Sundance Film Festival, and the Turkish title “The Announcement” by Mahmut Fazıl Coşkun, which won the Special Jury Prize in Orizzonti competition at the Venice Film Festival.